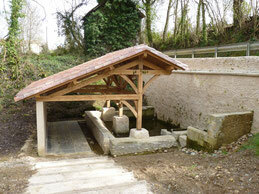 Washhouses were meeting places where the women came to wash, rinse and dry the linen. 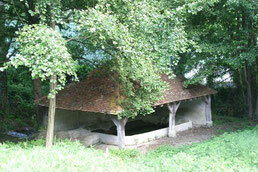 Their architecture was often very simple : pillars with a low wall and a tiled or slated roof. 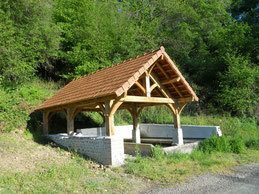 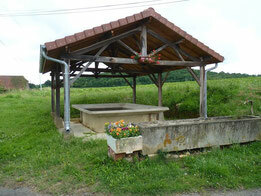 Washhouse-fountain, of 1901, with a tub and a drinking trough in stones, roofed in saddle in tiles Picon. 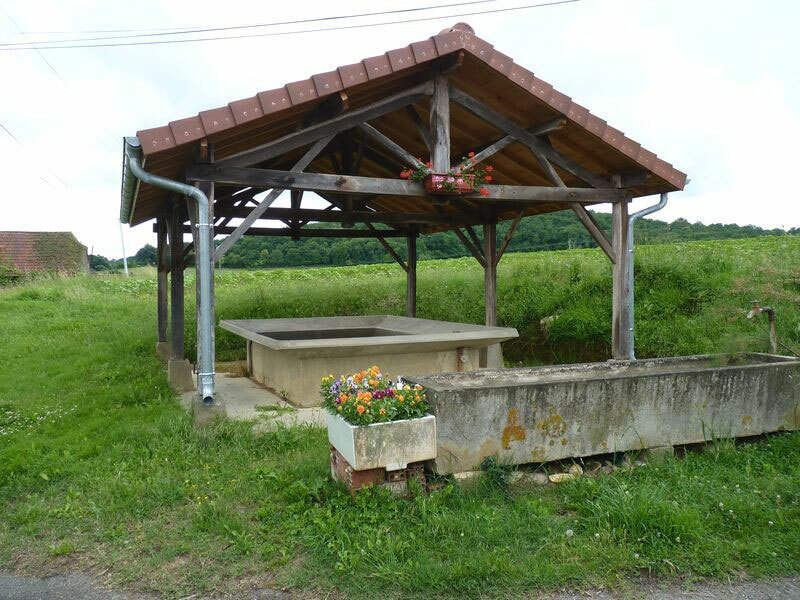 Fountain with protected stony kiosk. Near the church. 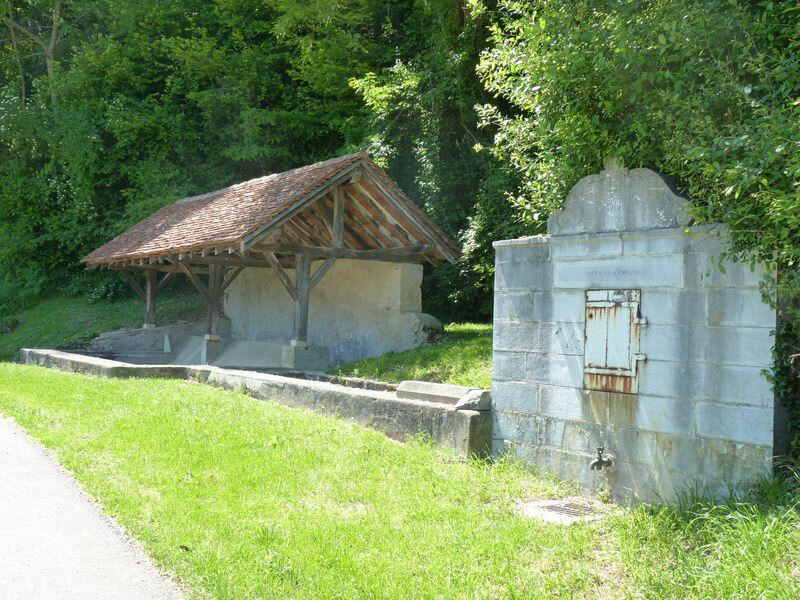 At the edge of Téoulère, near the old slaughterhouses (1934). Washhouse of “the coast of Gayon” built in 1850 and renovated in 2013. 2 ponds : one to wash the linen and the other to keep the water. Impressive rectangular washhouse of the end of the 18th, completely restored in 2016, covered with tiles on a superb oak framework. 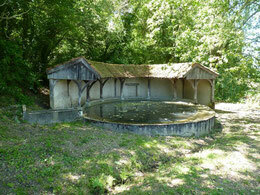 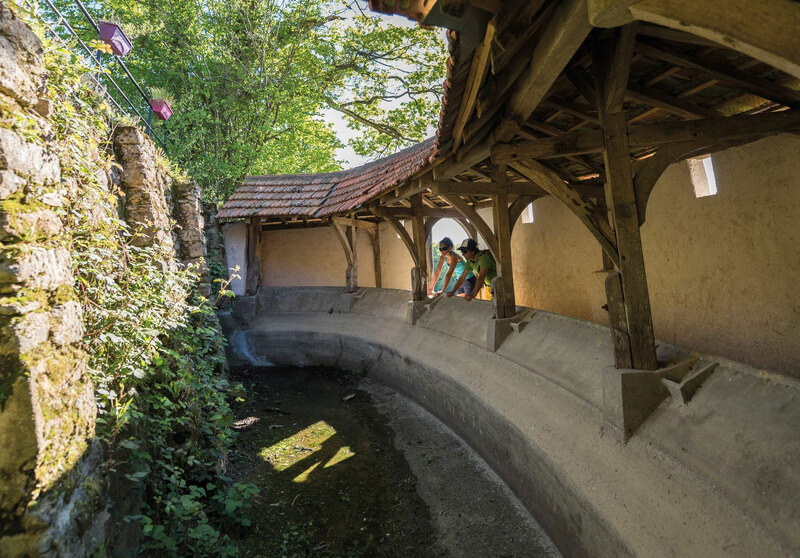 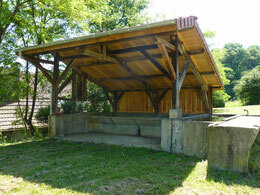 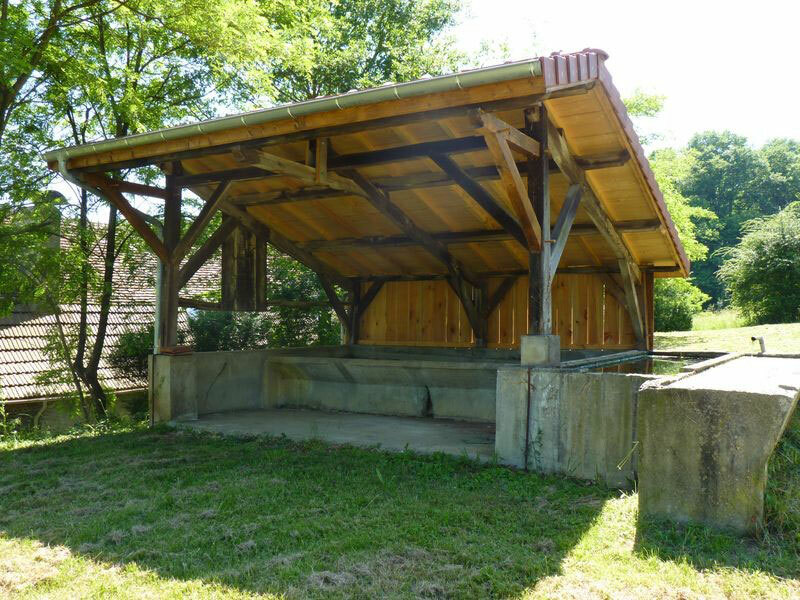 This public washhouse, built in 1859 and renovated, is visible on the D130 below the chateau Quintaà. Washhouse "La Houn des Vignes"
Situated beneath the village road, the well-head and semicircular washhouse has been renovated. Washhouse with 3 basins : a drinking trough, one to keep the water, and one for the washerwomen.